We believe that everyone should have access to a great education. That’s why we make transportation to and from our magnet schools as convenient as possible. 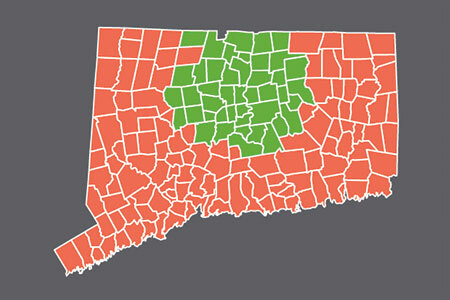 No matter where you live in the state of Connecticut, we will work with you to help establish a safe and effective transportation plan for your family. Both of our magnet schools are conveniently located along the Connecticut River in East Hartford and are accessible by several state and local highways. Whether you plan on having your child take the bus, dropping your child off at school during your morning commute, or are interested in exploring other transportation options, we have the services and support you need to make your child’s magnet school education a reality. We even offer extended hour programs such as the Studio Program at Riverside Magnet School as well as a variety of afterschool activities at CTRA including athletic teams, musicals, and special interest clubs. Our partnerships with the Connecticut State Department of Education’s Regional School Choice Office (RSCO) and the Capitol Region Education Council (CREC) provide a number of transportation options through their regional transportation system including school bus transport, public bus passes, and parent stipends where applicable. Transportation is provided for all students’ kindergarten through grade 12 who reside in the RSCO transportation zone. Pre-K children residing in Hartford will also receive transportation. Transport students to and from school and receive a stipend based upon student attendance at the end of the school year. Transport students to the nearest existing bus stop within the RSCO Transportation Zone. For more detailed information on transportation to our schools please visit RSCO Transportation Office or contact the transportation call center at 860.524.4077 during regular business hours.